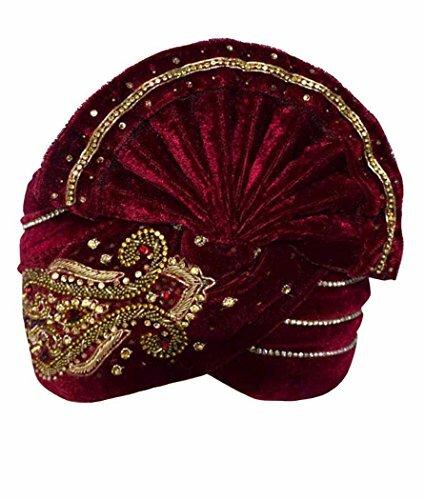 Wonderful Embroidered Turban made form Maroon color velvet fabric. This turban is made for weddings and other special festive occasions. Handcrafted by the turban makers of Rajasthan, India. Dryclean only. Maroon color velvet fabric. Dryclean only. Turban made for weddings and other special festive occasions.